Hi loves! Today is a very special day because – after keeping the secret for some months – I can finally introduce you my own Cadillacquer collaboration shade: BSoD! Writing a post about this nail polish isn’t easy: I am feeling so many emotions and I would like to tell you so many things that I just feel overwhelmed by all this goodness. Having my own collaboration shade, a nail polish that comes from an idea of mine and that brings my name on its label, was a dream that I didn’t think it could ever come true. Moreover, I would have never imagined that this could happen in collaboration with one of my favorites indie brands! So, you can imagine how excited I was when I discovered that all of this was going to happen. Some time ago Madeleine – Cadillacquer‘s owner and creator – launched a contest asking to submit one (or more) ideas for new nail polishes (we had to specify name, colour, finish, inspiration and so on). She then chose eight ideas and turned them into the eight beautiful shades that will be part of the upcoming Fan Collection 2018. My BSoD was chosen and that’s basically how now I have my own collaboration shade. If you are interested in computers and computer science, you will have probably understood what’s behind the name of this nail polish: BSoD is the shortened name of Blue Screen of Death and is inspired to the homonym error message screen that appears when Windows encounters a fatal error. If you ever used Windows in your life, you have surely encountered it more than once. I grew up with computers from when I was a child thanks to my family and now, as then, computer science is still a huge interest of mine (for example, did you know that this website was created by me?). Having the chance to see a nail polish inspired by something I love and that brings me sweet memories about my childhood and my family is just incredible. And knowing that there is my name on it makes me even more excited! BSoD as a nail polish is a deep blue jelly (between electric blue and night blue) loaded with tons of white hex glitter of three different sizes. Even if the formula is very rich, BSoD is still super easy to apply and it reaches full coverage in three coats. Only for photographic purposes (my camera has some difficulties with jellies), I had to paint four coats, so in my pictures you see four coats plus top coat. Madeleine from Cadillacquer is the magician of nail polishes: she made a gorgeous nail polish from my idea and made BSoD one of my favourite nail polishes ever. I like every aspect of BSoD: the huge amount of different-sized glitter inside, the particular shade of blue that she chose, the way it recalls my original inspiration – just everything! It gives nails an original but yet very sophisticated look – just try and see! 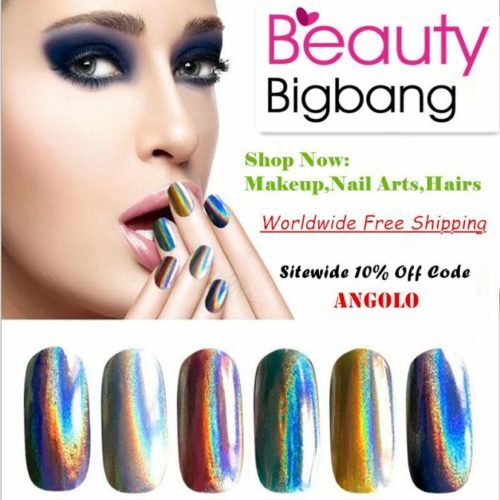 It’s not easy to be objective about a nail polish that has my name on it, but I can guarantee that BSoD is really amazing and that Cadillacquer is one of the most interesting and beautiful indie brands ever, so, if you like BSoD, I will definitely invite you to buy a bottle. 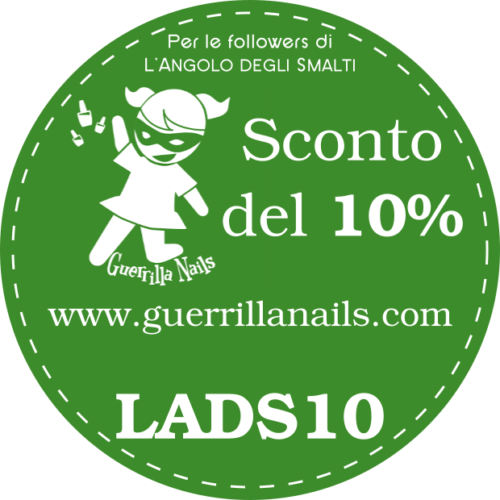 And, if you decide to take a pic of how it looks on your nails, feel free to tag me on Instagram (you can find me as @langolodeglismalti): I will be extremely happy to repost your photos! In my next post I will show you the whole Fan Collection 2018 by Cadillacquer with the swatches and the macros of all the eight nail polishes. Cadillacquer nail polishes can be bought online from the brand’s stockists: Hypnotic Polish in Europe, Color4Nails and Whats Up Nails in the USA, Lakodom in Russia. Fan Collection 2018 is already available at Whats Up Nails, while it will be launched at Hypnotic Polish February 21st. On the other hand, Color4Nails and Lakodom will have it by the end of the month. Ladies, after so many words, I would really love to know your thoughts: do you like BSoD? Did you guess what was the inspiration behind it? 😀 Let me know your opinions in a comment!